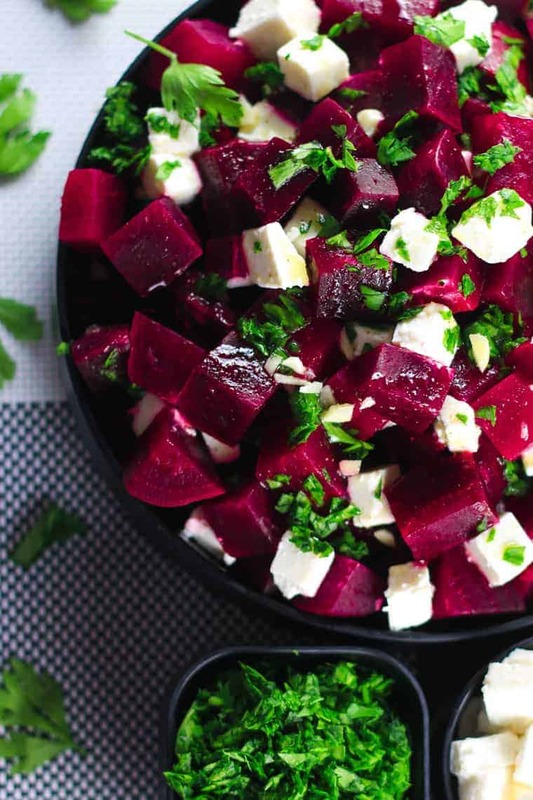 This salad has the perfect balance of sweet and salty from the beetroot and feta cheese – SO good! Super healthy and tastes even better! A new day, a new salad! 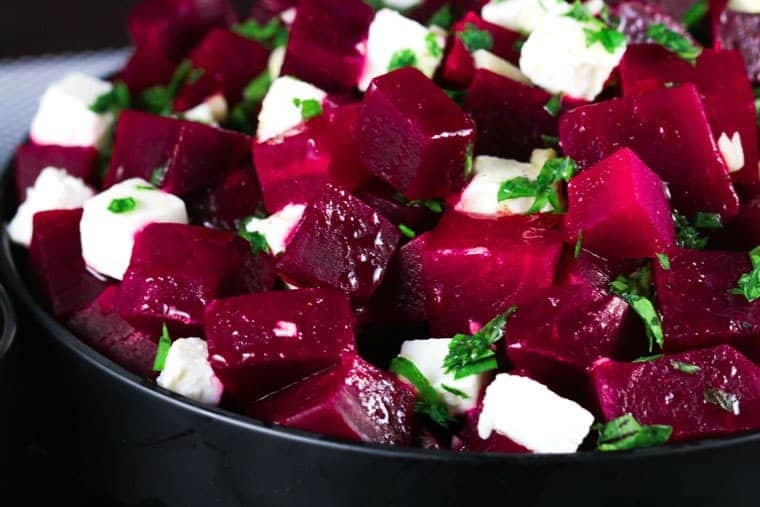 Prepare to have one of the best combinations for a salad – beetroot and feta cheese. 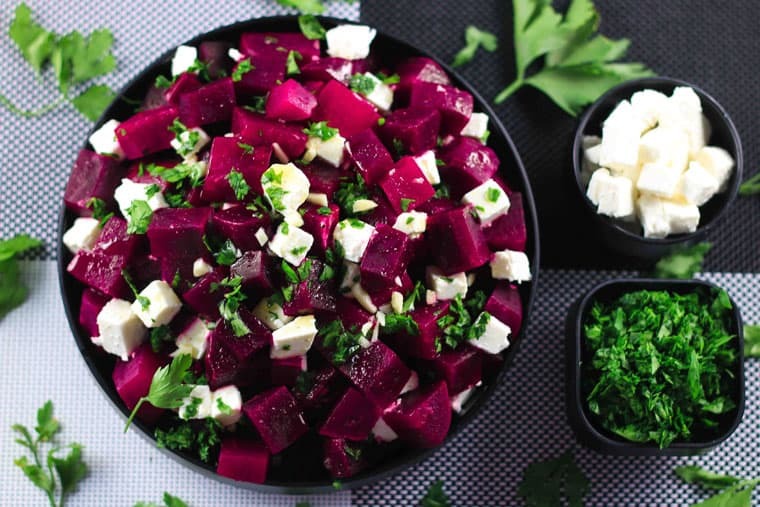 Beetroots have this sweet flavor and it’s perfectly balanced by the feta cheese – SO good! 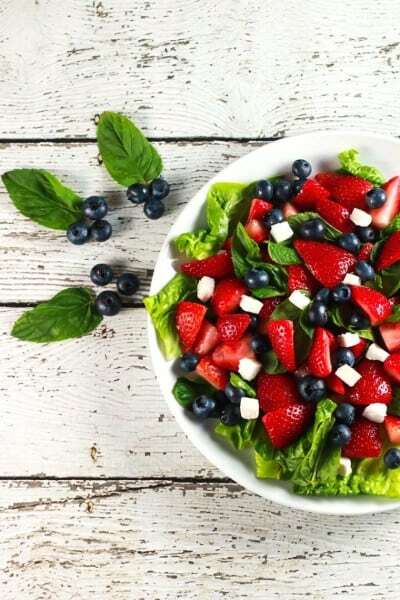 This fourth salad recipe in our #30DaysOfSalads series is a great way to take in some needed nutrients during the summer! Beetroots. We just feel they don’t get the appreciation they deserve. This vegetable is just delicious and absolutely versatile. Another way we’ve found they work really well is if you put them in your burgers or sandwiches as a filling – YUM (we sense a new recipe coming up on the blog!). We try our best to make every recipe look beautiful too – because seriously, you shouldn’t have to eat pretty food only in restaurants. This one pretty much hits the nail when it comes to pretty! Aena actually doubted at one point if vegetables could ever be ‘pretty’ (she was clearly not a fan of them before!). But even she had to admit (and of course eat it all) when we first experimented with this recipe together. So that is clearly a signal that it has to go up on the blog! The lemon vinaigrette we’ve used is super easy to make because we wanted the main ingredients in the recipe to shine the most! So how’s the #30DaysOfSalads coming out for you guys? We’ve read that it takes 21 days to make a habit. 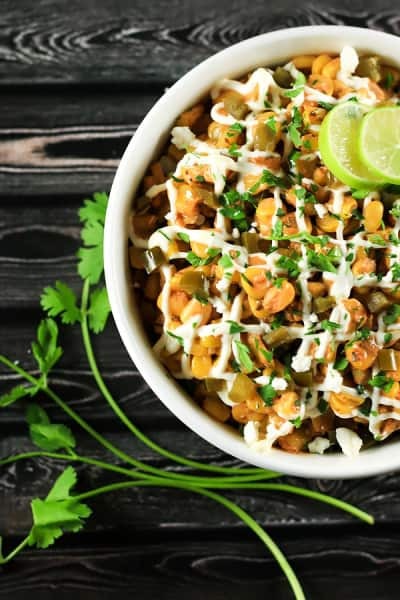 Seeing how most of us have a habit of having processed foods nowadays because of our lifestyle, it has become increasingly important to change habits while we still can. Arvin has gone years without eating things like McDonald’s, and that really contributes to his overall energy and healthy lifestyle. It’s never too late for any of you to do without it either. Let’s get down to the recipe now, shall we? Thank you so much Anastasia! Glad you enjoyed it!! Do you chill this before serving? Hi Nanny! You don’t need to chill it before serving but we often do! Even 30-40 minutes in the fridge makes it taste even better! What I like to do is that I make this salad before I start cooking my main dinner meal, so I pop it in the fridge before I start cooking the main dish. By the time the main is done, the salad is nice and chilled too! Hope you enjoy the salad! x Aena. Sounds yummy Im going to use the beets and feta I have on hand to make this. I don’t have parsley but I do have kale microgreens. 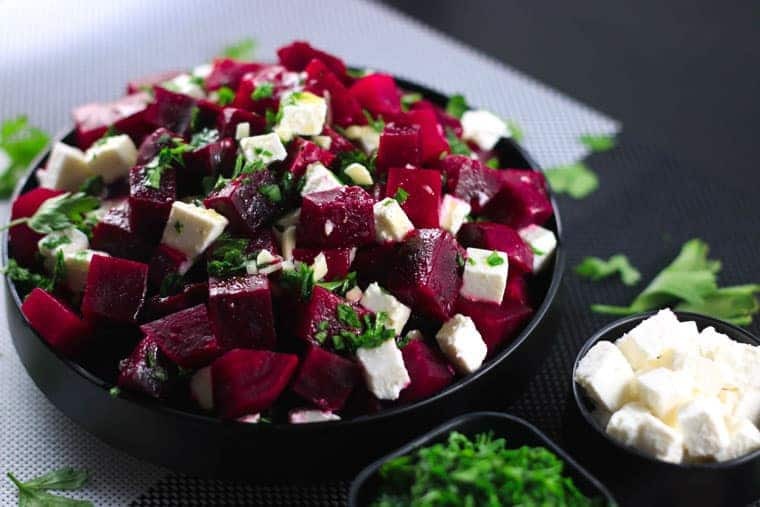 It looks really good, I love the idea of beetroot and feta! 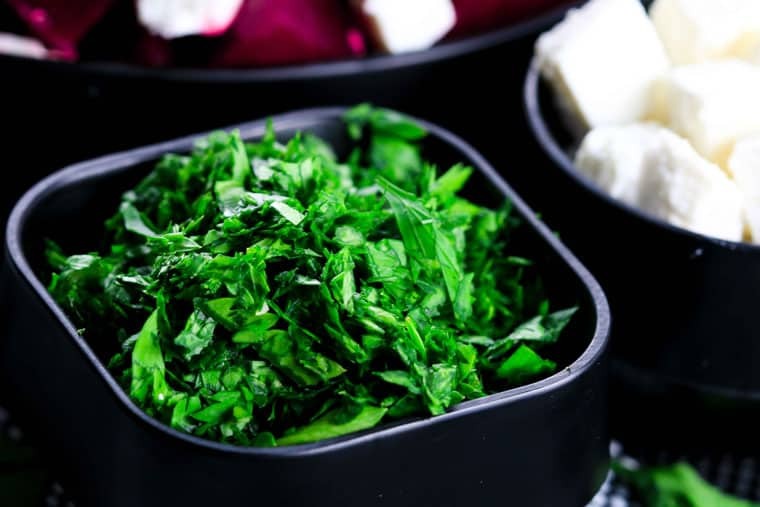 Eat this salad regularly, and I prefer to replace the parsley with LOTS of chopped fresh parsley. For lower fat try balsamic vinegar as a dressing instead of a vinaigrette dressing with oil. Yum! This was delicious. I have already shared it with a number of people. I added fresh ginger to the lemon vinaigratte and I added a few roasted peanuts. It was great. Everybody loved it. 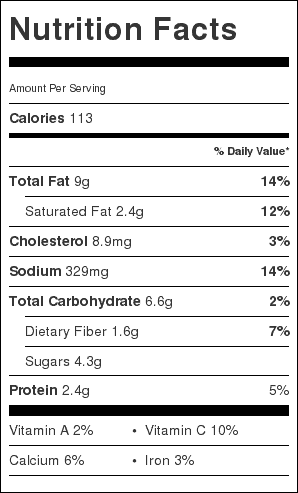 I like that there are no condiments involved. Well done. Tastes great! This is so refreshing and delicious! I made it tonight for Easter dinner and everyone loved it! This is my new favourite salad! Thanks for the recipe! This salad was a huge hit at our family gathering. Thank you! Very tasty and a bonus of being healthy. Will make again. This salad is always served in a nursing home where i am working. Instead of parsley I add chick peas and my daughter loves it.Yes I use balsamic vinegar as dressing.